All our tour guests picked up at the hotel. The driver offers the option between a single or double kayak. During the drive over to the kayak tour launch area, driver will answer any questions you may have. Driver also give you general knowledge of interesting things about Aruba. Kayak tour guides are introduced upon arriving at launch area. The guide(s) will give you well-explained, short and fun set of instructions. These instructions provides you with everything you need to know about how to easily get in and out of the kayak. how to paddle, how to steer, and most importantly how to sit in the kayak! You do not have to be an experienced paddler – we can handle both inexperienced and experienced kayakers. Note: Life jackets requires worn by all participants throughout the tour. Once in water, our team guides everyone along the coastal mangroves. Passing secluded beaches and exploring an area of the island rarely visited. 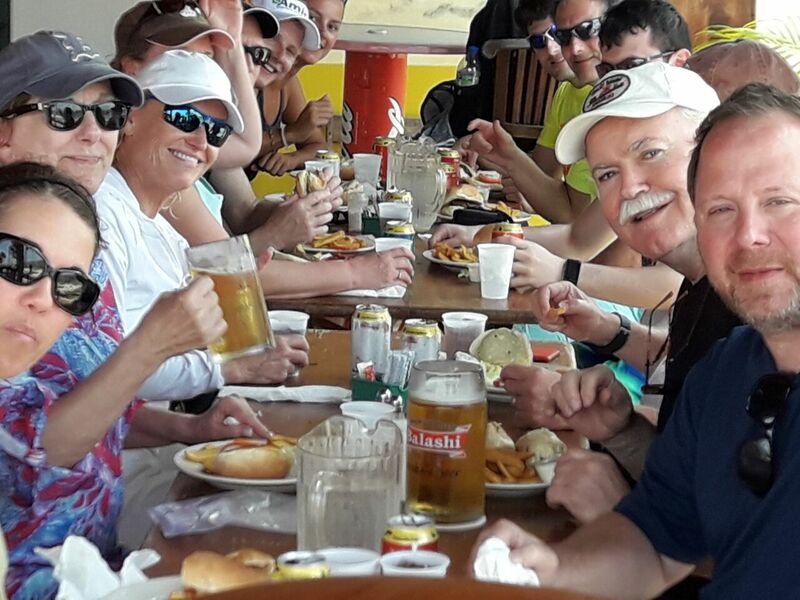 Our expert kayak guide(s) will inform and entertain you throughout the tour. 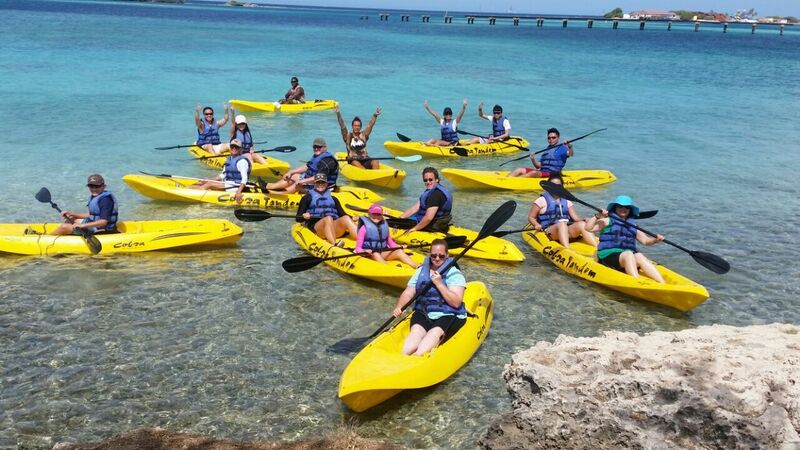 Since you will be kayaking along the beautiful coastline of Aruba, the driver will follow the tour in the van. For your convenience, you can stop kayaking at any time and jump in the Van if you don’t want to continue kayaking. But we guarantee think you’ll love it. You paddle down the Spanish Lagoon along side the coast to Mangel Halto Beach. 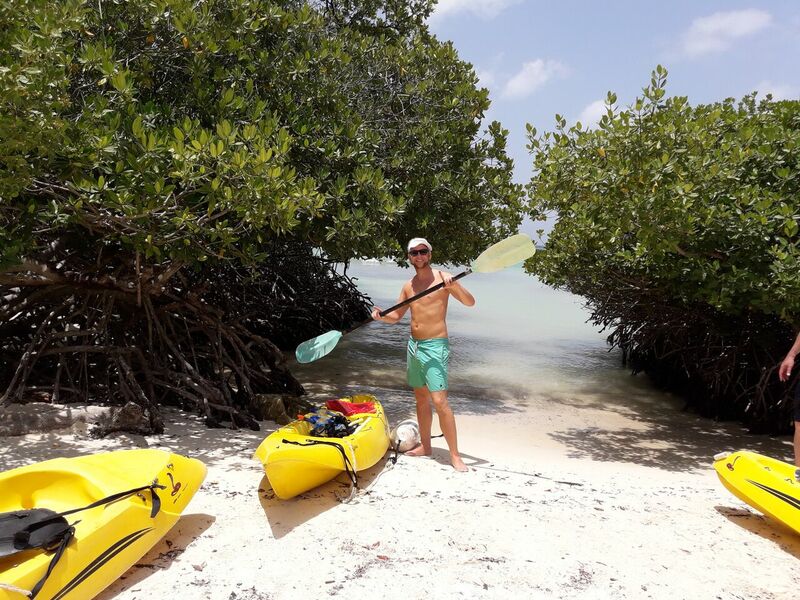 The second part of the kayak tour includes a short break at the Mangrove forest. 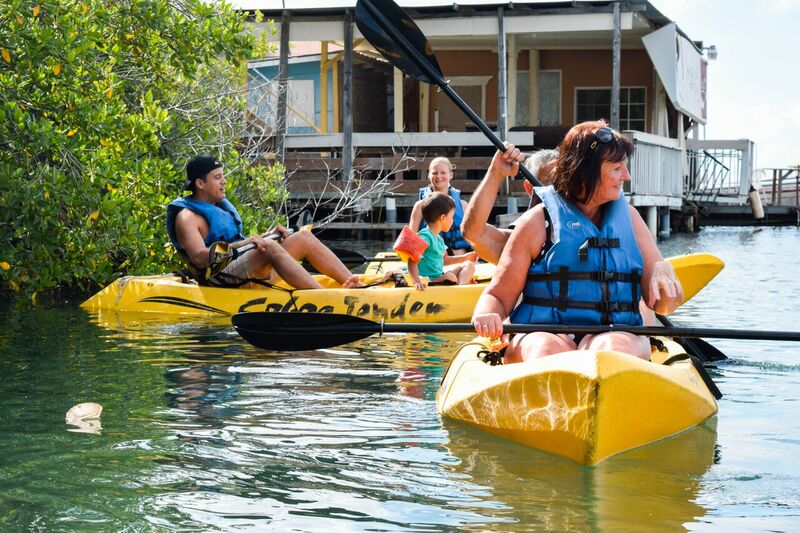 You can have some water, choose to explore the area or join the kayak guide(s) on a snorkel tour of the barrier reef. All snorkel equipment is provided to you. Opting out to hang out on the beach is also possible upon desire. The snorkeling part of the tour, requires you to wear a life jacket. Tours are geared for beginners and we do take non-swimmers quite often. 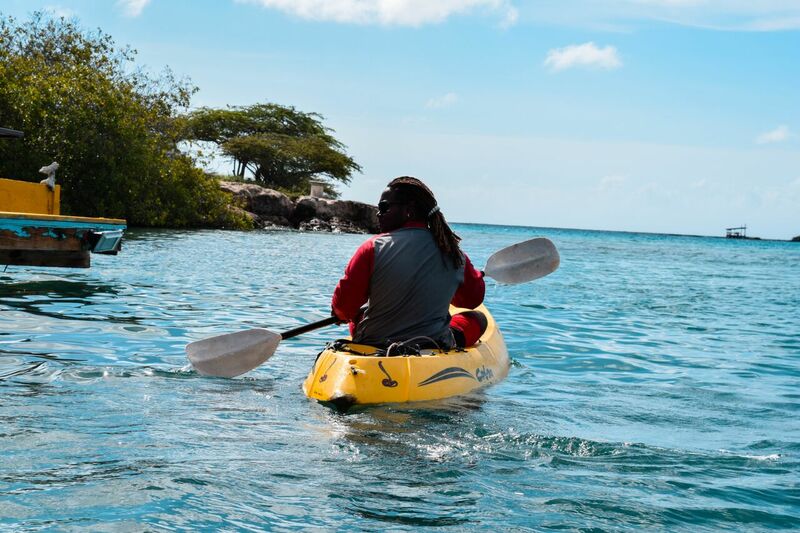 Since your kayak guide(s) are experienced swimmers and have knowledge of the reef, they will give you a unique marine life experience. After snorkeling you will return your snorkel gear to the van to then enjoy kayaking back to the launch area in the Spanish Lagoon. Here you will meet up with your tour pick-up driver. The driver will take you to the National Brewery and Balashi Beer Garden restaurant for lunch. This is included in the price of your tour. You have a choice of a few different items on the menu. These vary from burgers, wraps, salads and so on. You will also get a non-alcoholic beverage of your choice with the meal. Alcoholic beverages (beer, cocktails, etc) is not included in the tour package. These can be purchased separately at clients expense. Finally, after lunch your driver will take you back to your hotel and you should arrive there before 3:00pm. The starting point for your kayak tour is located on the banks of the Spanish Lagoon. Not far from the site of Aruba’s first historic capital “Savaneta.” This area was the first large trading port established during Dutch colonization in the early 1600’s. Some believe that during the Spanish occupation, all three ABC islands (Aruba, Bonaire, and Curaçao) belonged to Venezuela. 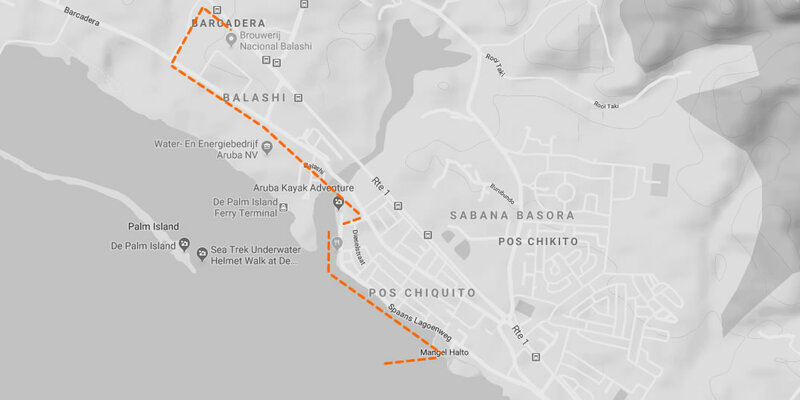 While the Spanish base was in Coro, the shortest route to Aruba would end in Savaneta. This is where the Dutch Commander resided and keep track of all trades, making it an important area during that time. The Spanish Lagoon has its own historical background. Many believe it served as a well-hidden port for the infamous pirates of the Caribbean. The lagoon is thickly lined with Red Mangrove trees. 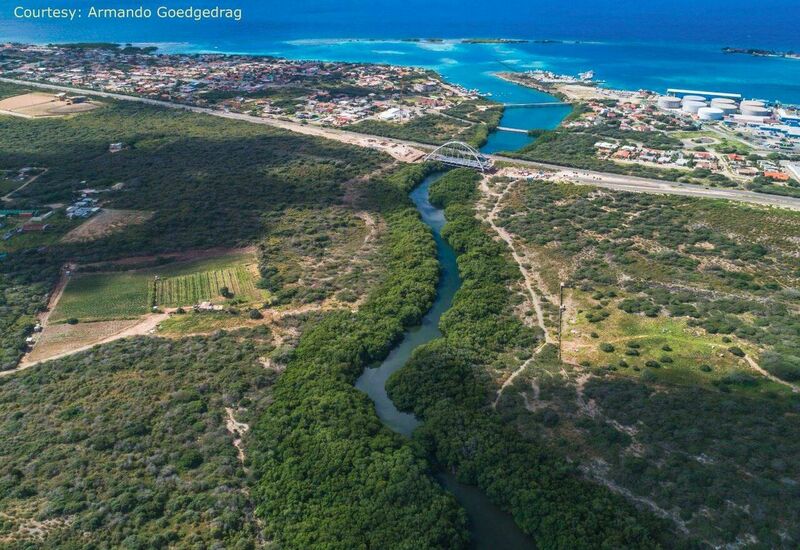 This is the most common species of the mangrove trees found in the Savaneta area Aruba. They are easily be identified by their dense network of roots, that provides the tree with support and protection. Often extending directly down into the water. These mangroves serve as a nursery for juvenile marine life and is important resource for the local fisheries. Because Aruba is mostly made of limestone, which is highly soluble and therefore vulnerable to coastal erosion. These trees end up protecting the islands sandy coastal areas. Release forms must be filled out by each participant. Under 18 years of age must be filled out by a parent or guardian. Please note that this tour is physically active and general good health is necessary. 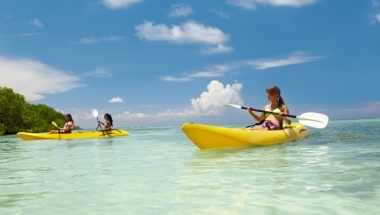 Under 12 years of age must be accompanied by an adult on a two-seater kayak. 13 years of age and up can choose either a one-seater or two-seater kayak. Maximum capacity of 13 participants. US $ 83.00 + BBO = $ 88.00 per person. Reservations Office Telephone: +297 582-5520. Office Hours 8am to 5pm Monday-Friday. Office Hours 8am to 11am Saturday-Sunday. After hours, please leave a message on answering machine. Call reservations office before ticketing to guarantee space. Bookings require payment in full. 8:30-9:30 AM: Pick-ups at resorts and hotels, drive to kayak tour launch area in Spanish Lagoon. 9:30-10:00 AM: Equipment distribution (paddle and life jacket), safety procedures, instructions for operating the kayaks. 10:00-10:45 AM: Paddle from Spanish Lagoon launching area to Mangel Halto Beach. 10:45-11:00 AM: BREAK. Drink some water, use a restroom, explore the beach. 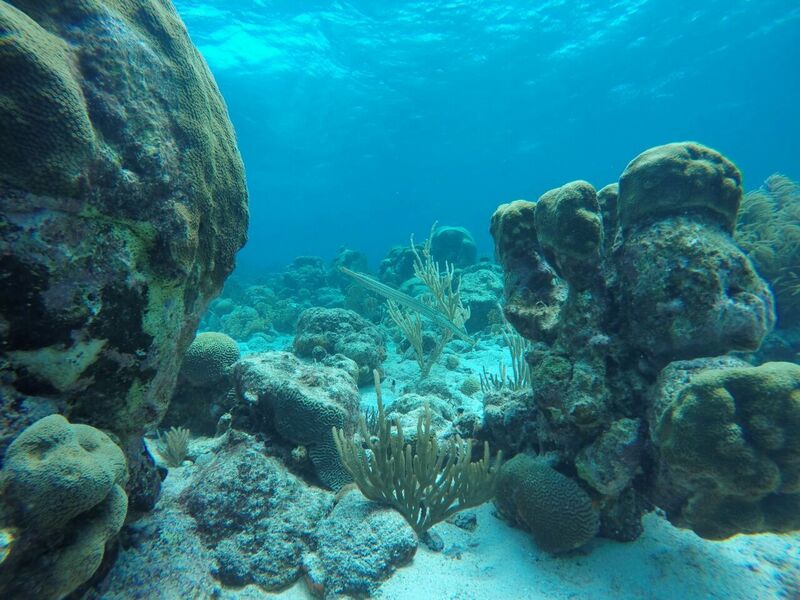 11:00-12 Noon: Snorkel the barrier reef. 12:00-12:15 PM: BREAK. Drink some water, use a restroom, explore the beach. 12:15-1:00 PM: Paddle from Mangel Halto Beach back to Spanish Lagoon launch area. 1:15-2:15 PM: Lunch at National Brewery and Balashi Beer Garden restaurant. 2:15-3:00 PM: Drop-offs back to resorts and hotels. Because the kayak tour lasts the better part of a day, there is only one morning departure each day of the week except Sunday (which is still possible but only by special request). US $ 83.00 + BBO = $ 85.00 per person. Guest Can't Wait To Hit The Waters! 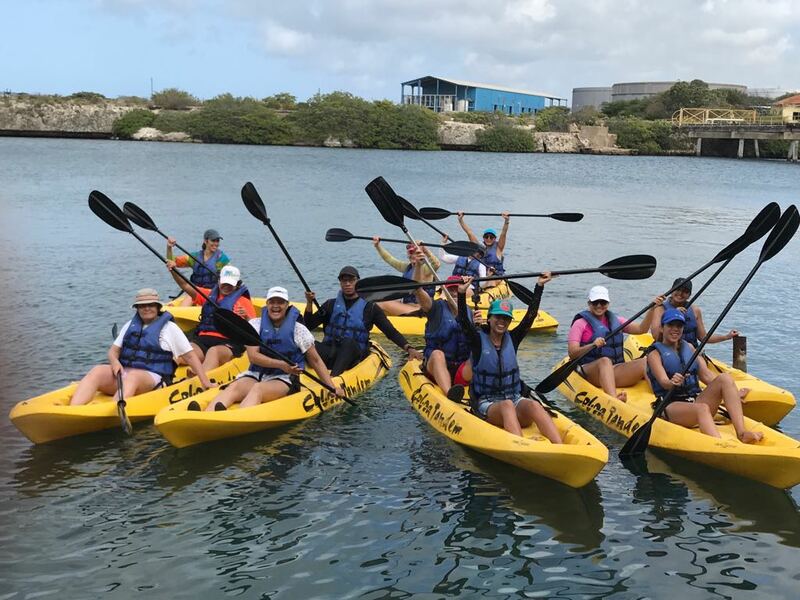 Girls Showing Off Their Skills During Kayak Tour! Birds Eye View Of The Kayak Tour Route. 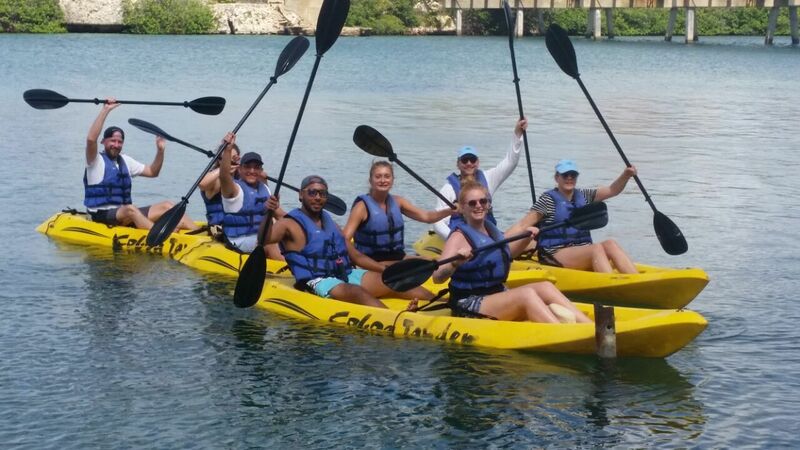 Group Kayak Tour Having A Blast! Kayak Tour Images Of Mangel Halto Snorkeling Activity.